So, In this post I come up with an awesome article in which we will be talking about best Hackers Operating Systems which are mainly developed for penetration testing and hacking purposes. In this list of Hackers Operating Systems, I added all those Operating Systems ( OS ) which are usually used for hacking purpose by the hackers. As we all know Kali Linux is the top and most widely used Operating System for Hacking and Penetration Testing purpose. So along with Kali Linux I added some other OS which are also made for the same purpose. In these 10 Best Hacking Operating Systems, all tools of hacking are inbuilt and completely free to use. So without loosing priceless time let's come on the main topic. What's the best Hacking OS? There are many OS in the world at present, but in this list I'll mention best Linux based OS which are being used for Hacking and Penetration Testing purpose. As we know that Linux is secure and fastest then any other OS. So all hackers prefer to use Linux based OS. Below is the list of 10 Best Hacking Operating System which are used for hacking purpose by hackers. Kali Linux is the rebirth of BackTrack which was created by Offensive Security team. Kali Linux is the best and most used Operating System for Hacking and Penetration Testing. It is most versatile and advanced penetration testing distro. All the tools in Kali Linux are free and it updates these tools and it is available for all different platforms like VMware, ARM, Virtual Box etc. Cyborg Hawk Linux is a Ubuntu based Penetration Testing Distro which is created by the team of Ztrela Knowledge Solutions. It is very powerful yet beautiful Hacking OS with ultimate collection of tools for Ethical Hacking and Pentesters. It is called as world's most powerful and advanced Penetration testing distro for Hackers and Cyber Security Experts. Many people say it is better than Kali Linux but in my opinion Kali is more attractive. It has around 700 Hacking tools pre-configured in it. BackBox is also one of the best hacking OS which is based on Ubuntu. Mainly developed for penetration testing and security assessments. It is designed for fast, easy to use and complete desktop environment as it is lightweight OS and not requires much hardware specifications. It has it's own software repositories which is always being updated to the latest version of all the most used ethical hacking & penetration testing tools. The Samurai Web Testing Framework is also good penetration testing linux distro. It comes with pre-configured Web penetration testing tools which makes it good. As it is live linux distro, it is very easy to clear all hacking tracks. This is best for Web Penetration Testers. It is available as VMware image as well as ISO image. 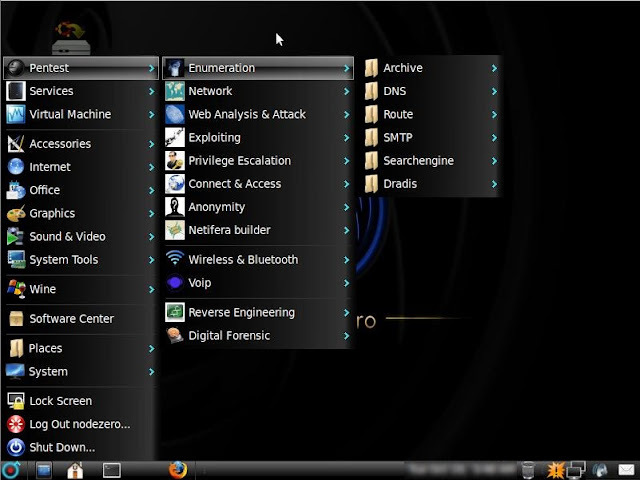 DEFT is another good Penetration testing and hacking OS which is developed by DEFT Association. They provide a powerful and reliable Penetration Testing distribution of linux. DEFT Association is an non-profit association. It is available to download as ISO and VMware image at their official website. BlackArch Linux is an Arch-Linux based distribution for Hackers and Penetration Testers or Security Researchers. 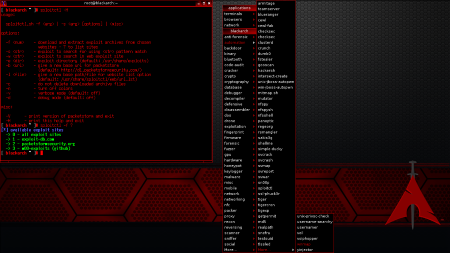 BlackArch Linux is a lightweight expansion to Arch Linux for penetration testers. It gives full penetration testing environment with more then 1200 free and open source hacking tools. It is a penetration testing linux distribution for Hackers and Penetration Testers. BlackArch is also compatible with exiting/normal Arch Linux installation. Parrot Security OS is another best Hacking Operating Sytem which is cloud friendly OS. 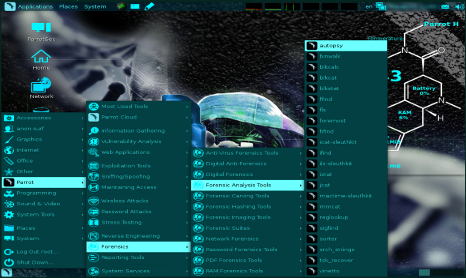 It provides tools for Pentesting, Reverse Engineering, Hacking, Computer Forensic, Cloud Pentesting, Privacy/Anonymity and Cryptography. It is based on Debian and is developed by Frozenbox Network. Parrot Security OS is available in 32-Bit for Intel and 64-Bit for AMD processors. Nodezero is the best and handy OS along with all Pentesting Tools collection. They thinks that Live CD is not suitable for those whoc does Pentesting on regular basis, but they provide Live CD for their distro. Nodezero is based on Ubuntu distribution of linux and is very reliable and stable hacking OS. Bugtraq hacking OS is avalable in Debian, Ubuntu and OpenSuSe in both 32 & 64 bit architectures. It provides most used tools for Penetesting and Hacking which are all stable and reliable. Bugtraq is stable with automated services manager in real time. Above list of 10 Best Hacking Operating Systems is for Hackers, Pentesters and Security experts. These Hackers OS are pre-configured with lots of free hacking and penetration testing tools. You can use any of above mentioned Hacking OS and start your journey of Ethical Hacking. I hope you liked the list of Best Hackers Operating System (OS) for Hacking and Pentesting.